Roger Mooking is a Trinidadian born, Canadian-raised chef, restaurateur, cookbook author, musician, and host of the popular television series Man Fire Food where he enjoys finding inventive ways to cook with fire. He is influenced by his culturally rich family background, his love of people and travel, and interest in global flavours to create new culinary experiences. This Food Network and Cooking Channel personality is also the host of shows Everyday Exotic and Heat Seekers with Aarón Sanchez as well as a Chopped Canada judge. With his colourful style and creativity, Chef Mooking has made guest appearances on shows such as The Today Show, Good Morning America, The Marilyn Denis Show, Iron Chef America, Top Chef Canada, and Chopped. And cooking isn’t his only talent – Mooking’s band Bass Is Base received a Juno Award for Best R&B/Soul Recording and in 2018 won a Classic Award for their song Funkmobile! 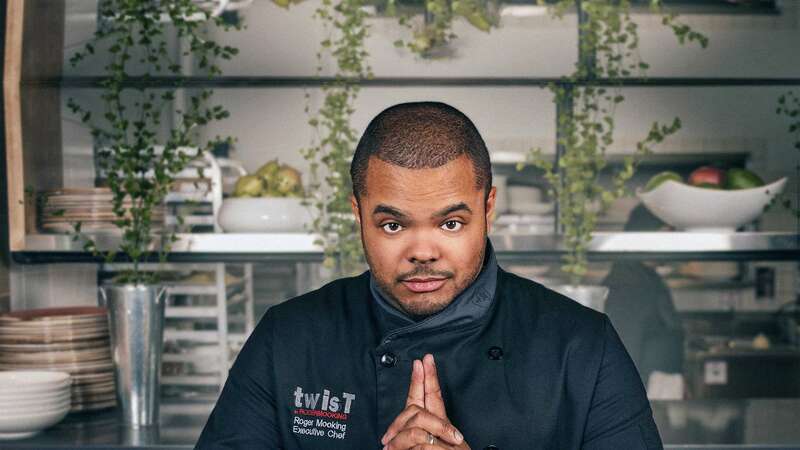 Now Chef Roger Mooking is bringing his culinary expertise to Deerhurst this October for a weekend full of fun, food and lots of flavour! A nightly resort fee provides additional benefits and services including golf at Deerhurst Lakeside after 4pm. After dinner, drop by Compass to enjoy live entertainment. Between 3pm – 4pm: Muskoka Brewery Craft Beer Hike & Campfire. Follow the Hiking Trail to the Lookout where you’ll enjoy craft beer sampling, a campfire and a wonderful view of the resort and lake. Be sure to bring warm outerwear and sturdy footwear, and dress in layers – you’ll warm up as you go! (The uphill hike will take approximately 30 minutes.) Location: Hiking Trail across from the Pavilion parking lot entrance. 11am: Room check-out (key expires). Feel free to enjoy the resort at your leisure after check-out. *Rate is per adult, per two-night stay based on double occupancy (two adults per room). No children’s pricing. Rates shown are applicable to select accommodation and may fluctuate based on dates and availability. Subject to availability and minimum stay requirements. (i.e. two and three night stays may be required on select dates). HST and resort fee are additional. Cannot be combined with any other discount, promotion or group rates.